Product Information & Description: Lapacho is general olive brown hue with light yellow to dark green stripes. 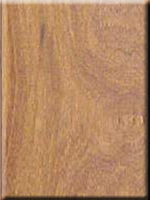 Lapacho has a very figurative grain and is easily stained barker when need. rating are generally based on an average of test on both tangential and radial ( plainsawn and quartersawn) sample.